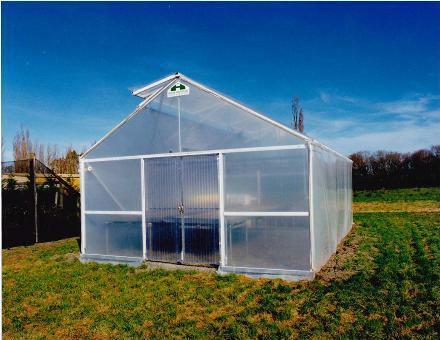 "The Compact Greenhouse that gets your Business Growing"
The Propagator range is the perfect design for nurseries, commercial growers requiring an area to propagate, vineyards and smallholding. Built to the same design excellence as the larger Maxi Span and Super Maxi with CAD structures that are rated to withstand winds up to 40 metres (132 feet) per second. It is available in standard sizes from 6 metres (19' 8") x 9 metres (29' 6") to a large 6 meter (19' 8") x 15 meter (49' 2"). A manually operated, single side, full length gull wing, vent offering maximum ventilation, is standard on the Propagator. Access is via a standard 2.1 meter (6' 10") double sliding door. 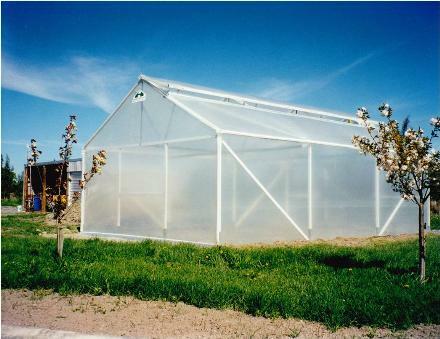 Harford's unique modular design means the Propagator can be built on-site, without the need for scaffolding and cranes, to any length in multiples of three meters (9' 10") and either 6 meter (19' 8") or 9 meter (29' 6") wide. 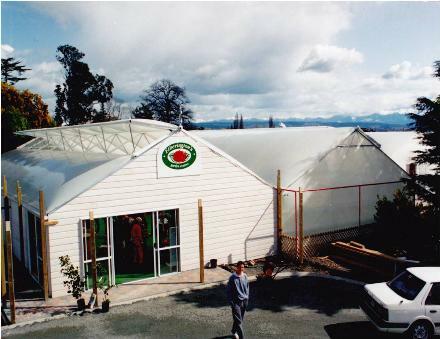 Future expansion is easy, start small and expand your Propagator as your business grows. Fully engineered to provide crop support of up to 15 kilograms per square meter (3 pounds per square foot) as standard, with snow loading as an option while at the same time minimising the framework to ensure the maximum light gets to your crop. Size:6 metres (19' 8") wide with lengths of 9 meter (29' 6") or 15 metres (49' 2"). 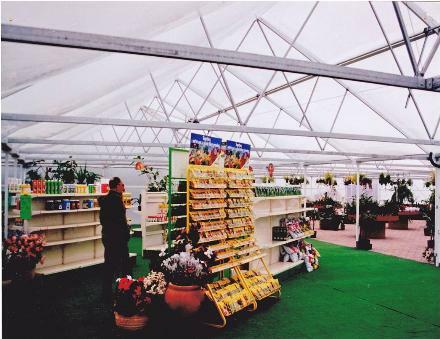 Extendable by gutter connected widths as above and length modules of 3 metres (9' 10"). Ventilation: Single side gull wing 1.2 metres (3' 11") wide. Dual gull wing, side rollers and gable end vents available as an option. All vents can be automated and motorised, with temperature, wind and rain control. Doors: One 2.1 meter (6' 10") double sliding door fitted in end or side as required. Additional doors optional. Automation: Can be fitted with single or three phase vent motors as an option, simple environmental controllers up to advanced units available optionally together with misting and fogging systems. 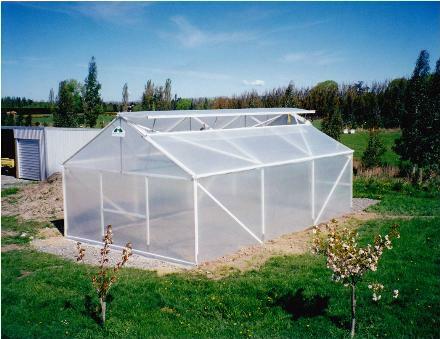 Construction: Available as a kit-set ex the factory with casual telephone assistance during construction, or fully assembled by a Harford Greenhouses construction team.